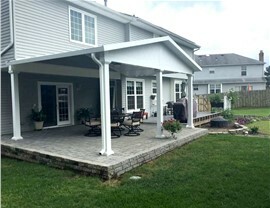 Our patio covers provide the elegant look of a pergola, yet with full roof cover for total protection from sun and rain. Do you love spending time outdoors, but find the sun can sometimes be a bit too much to bear? 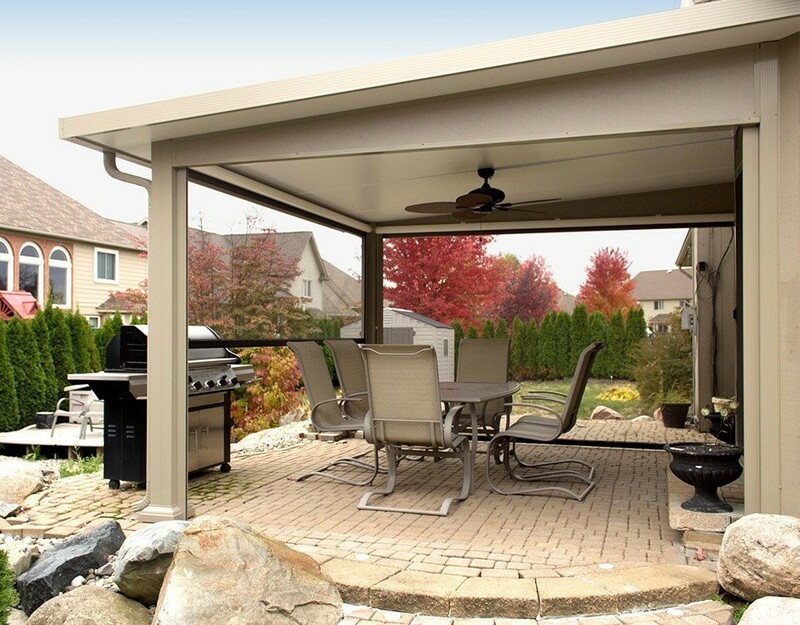 Make the most of your home's outdoor space in the shaded comfort of a stylish patio cover. Mad City Windows offers patio covers in several styles, so it's easy to find one that will complement the design features of your home. 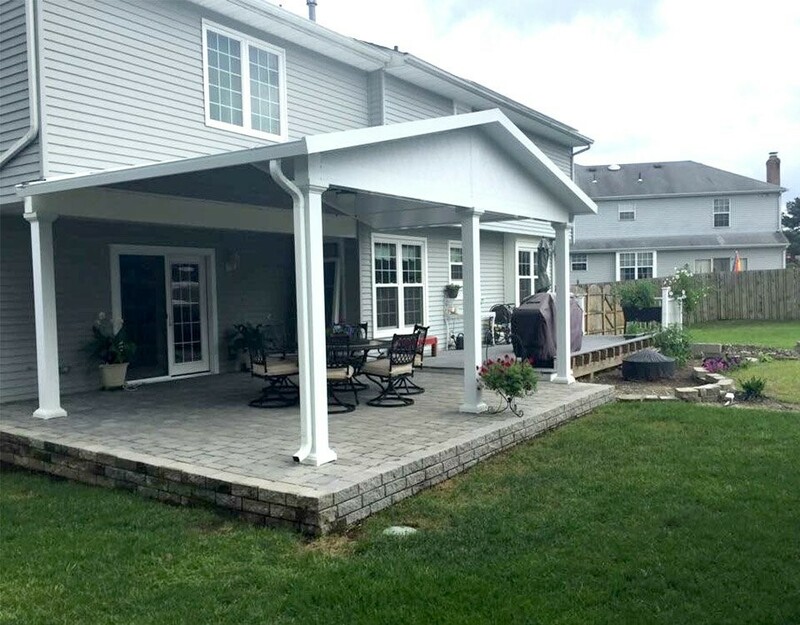 When you invest in an affordable patio cover, the afternoon sun or a light rain will no longer hinder you from spending time outdoors—and you can count on our crew to provide a beautiful result. Since 1998, our family-owned business has helped more than 15,000 people add value, beauty, and functionality to their homes. We insist on using only the best products, and our crews are certified and experienced, so you can be confident of getting a flawless installation. Style and Color Choices: Our selection of style and color combinations makes it easy to find a look you'll love. Durable Construction: Extruded aluminum frames provide impressive strength and durability. Low Maintenance: Our patio covers are designed to require very little maintenance, so you can spend your weekends enjoying them rather than maintaining them! 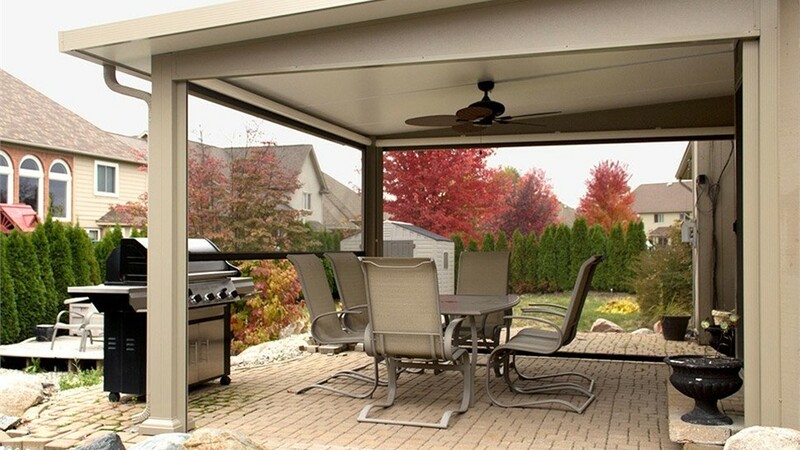 Retractable Screens: At the touch of button, your patio cover will be transformed into a screen room that keeps bugs at bay while still allowing you to enjoy the breeze. 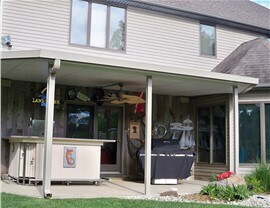 The retractable screens can be added at the time of installation or at any time in the future. 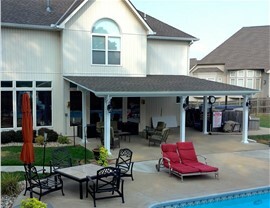 Impressive Warranties: Enjoy the peace of mind of knowing that our patio covers come with a limited lifetime warranty. 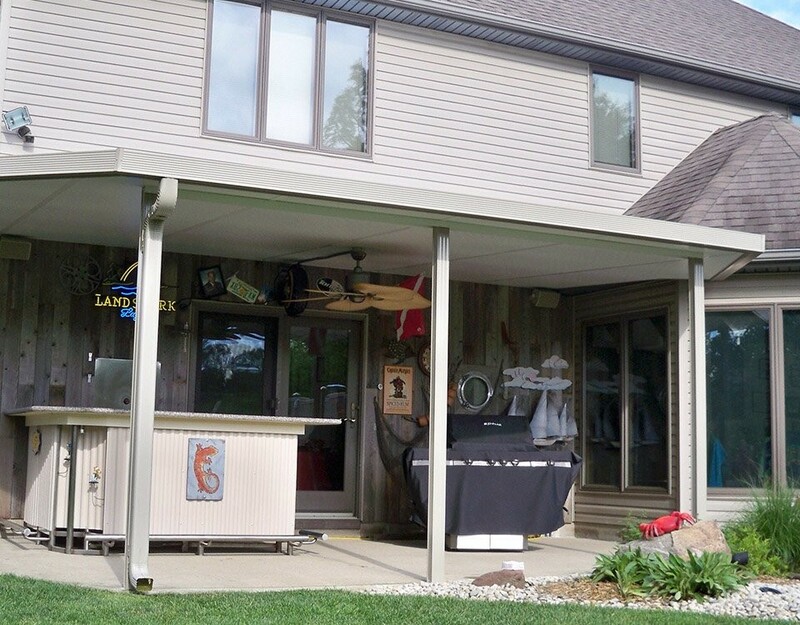 If you love spending time outdoors, our pergolas and patio covers are a wonderful addition to your Illinois or Wisconsin home. Contact us to learn more about our quality shade products or to schedule a free, no-obligation design consultation and estimate. Call Mad City Windows today, or fill out our online form now to get started.